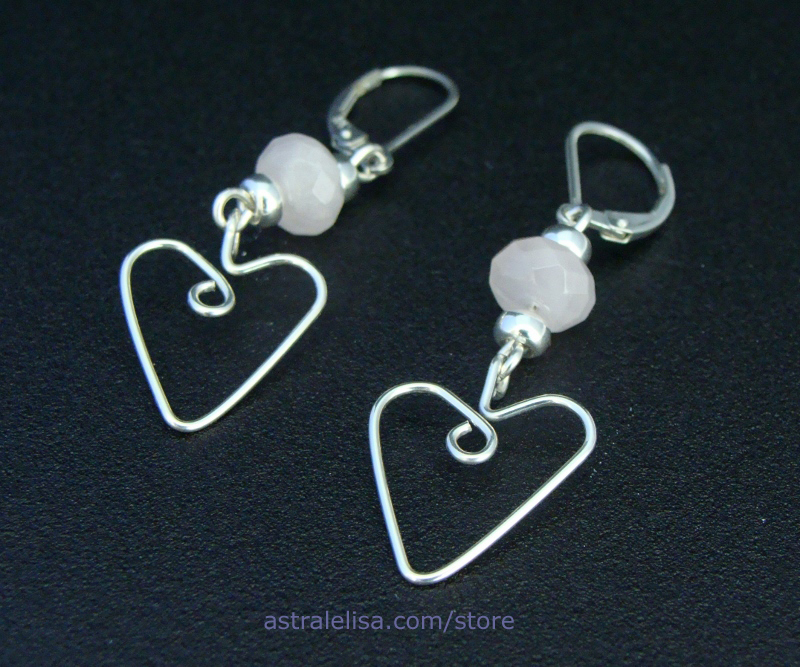 Lovely hearts with the gentle and yet powerful energy of the rose quartz help you keep your heart chakra balanced, so you can give and receive love, letting it flow naturally. 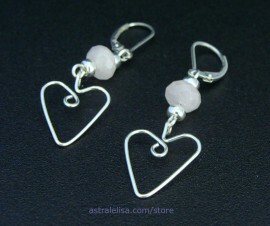 These earrings combine faceted rose quartz and sterling silver; approximate length is 3.5 cms (~1.38 inches). Matching bracelet and pendant available.